Left of Center Creative Challenges: 1st Anniversary Event - The Final Day! 1st Anniversary Event - The Final Day! Please check out our Current Challenge Ribbons and/or Flowers! We are down to the final few hours of the Anything Goes Challenge to celebrate the first anniversary of Left of Center Creative Challenges! The LOC Crew and myself would like to thank everyone who has taken part in the event! We are so grateful for our guest designers who have helped make this event so fantastic! We couldn't have done it without you! And I couldn't have done it without the LOC Crew! A big thank you to all my ladies! We have a bumper post for you today with a shed loads of inspiration! I hope you will visit all the blogs today and leave some love for these fabulous designers! You can get information for all our sponsors on this page - where you will also find out what prizes we have on offer! Just remember you have till midnight (GMT+1) tonight to get your entries in - 5 max! First up is Cath of the LOC Crew with this fabulous Aurora Wings image! You can find her blog here! PennyRae is also on the LOC Crew with another of Aurora Wings images! Here is her blog! 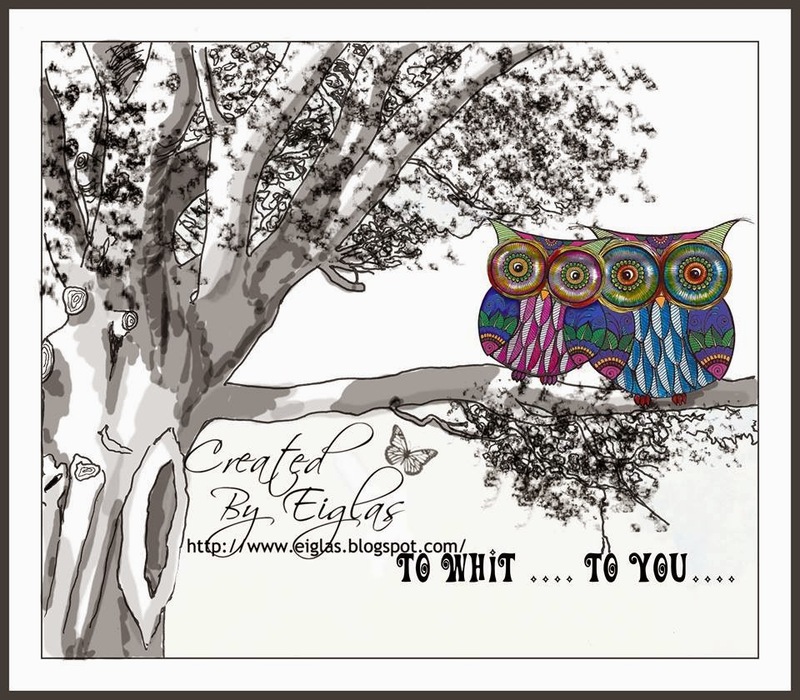 Eileen, another LOC Crew member, has created this wonderful digital project using an owl image from Dilly Beans and a tree that she designed herself, perhaps something to see soon on Eiglassing! Check out Eileen's blog for more info! Next up we have two members of the Design Team for The East Wind! 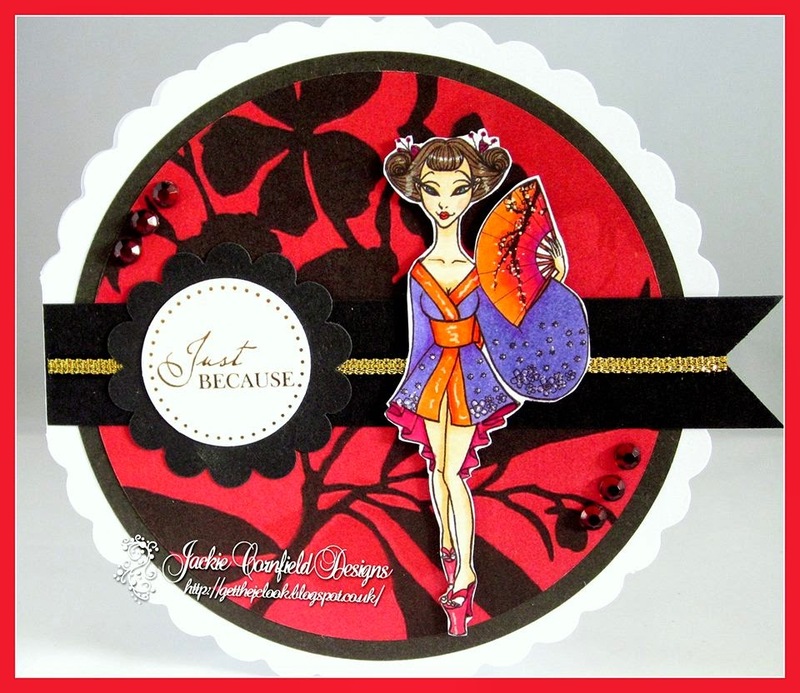 Joining us for the first time this month is Jackie Cornfield with this beautiful Asian themed card. Please check out Jackie's blog here! And someone who is not a stranger to this event, Crafting Vicky Fortier is here today too! 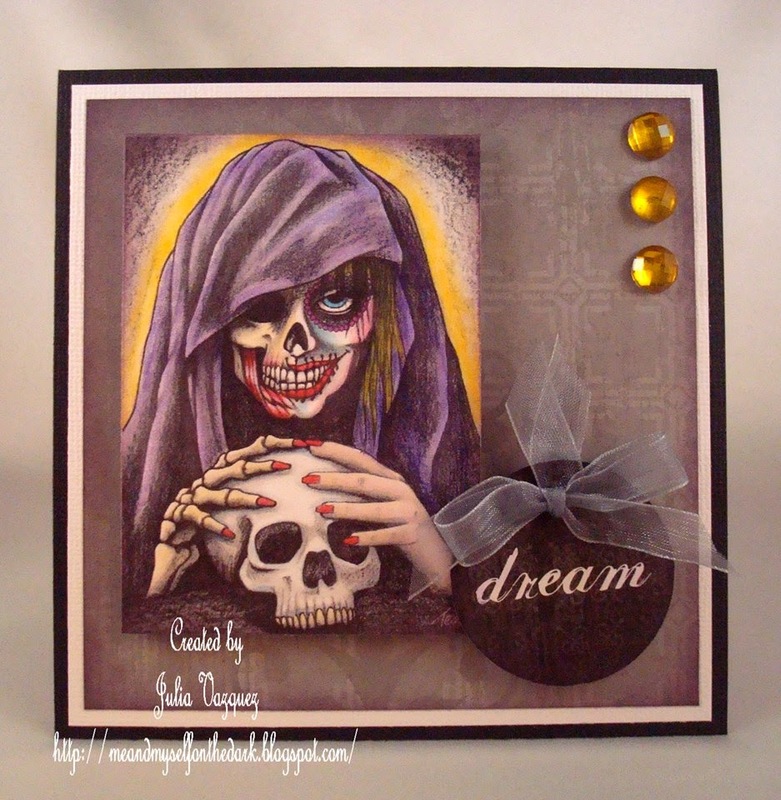 She is using a brand new Lucy Loo image from The East Wind and you can see more of this on her blog! 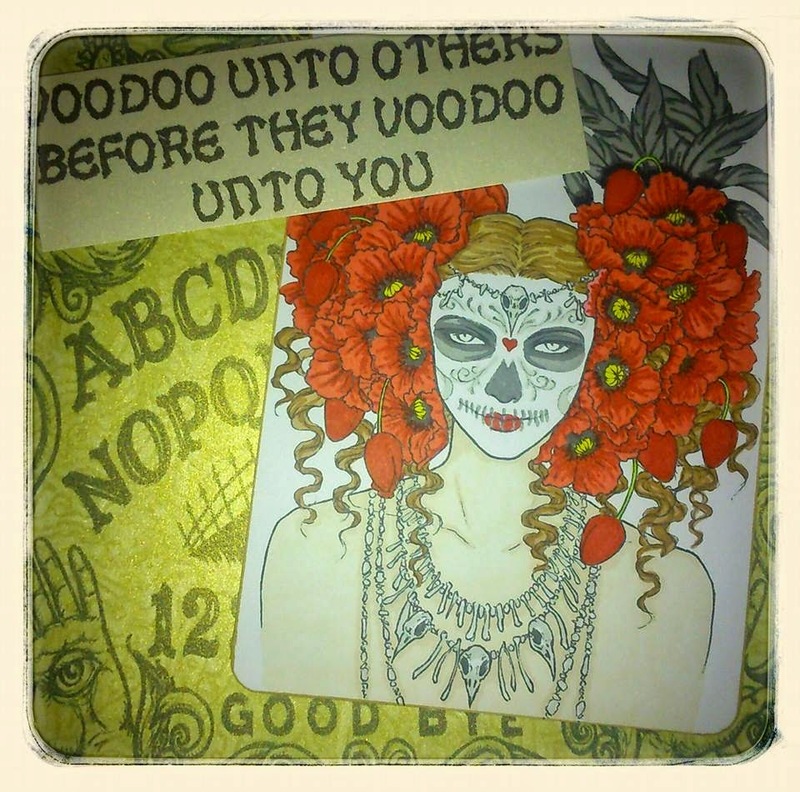 Joining us again today from the Delicious Doodles Design Team is Julia Vazquez with this fabulous card using Cranium Caresses, a new darker Delicious Doodles image. Julia's blog is over here if you want to take a look! 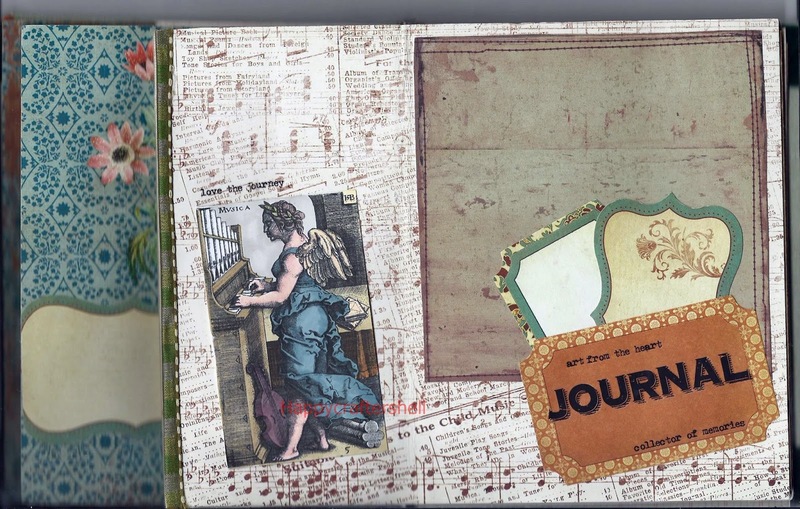 Another of our regular guest designers from this event is the lovely Shelley and today she is sharing another of her paperbag album pages. 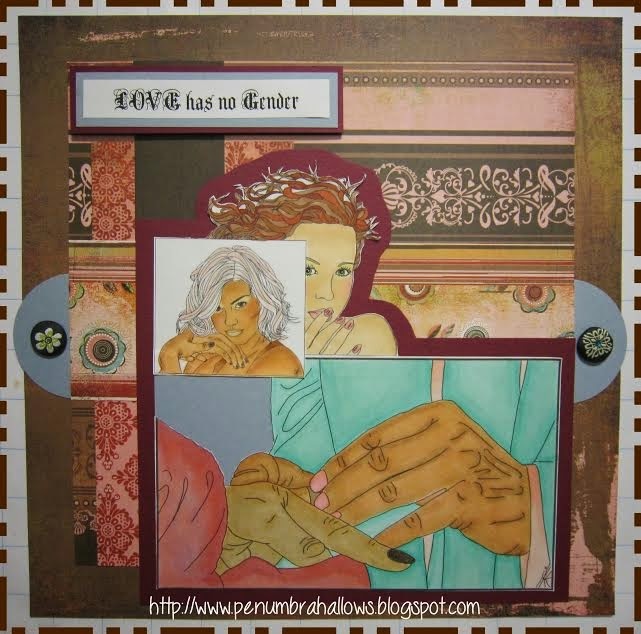 This uses an image from Smeared Ink and I'm sure she'll have more details on her blog! And we couldn't finish the event without another project from Samara! She was so excited to join the LOC Crew and create projects for this event and she has another Ike's Art creation today! Please leave her some love on her blog too! I dont know about you, but I have had a lot of fun this month with all the amazing projects to look at here at Left of Center! I hope you have been inspired to join in our regular fortnightly challenges - they always have a theme, you dont have to be a dark themed crafter to join in, but either way, we would love to see you here again! You have only a few hours left to get your projects linked up to the Anything Goes Challenge and after that the LOC Crew will have the difficult task of choosing our 11 winners! These winners will go in a hat and prizes chosen at random. We aim to announce the winners on Friday so come back then for the Anything Goes winners AND winners from our 'Favourite Books' challenge too!! Best of luck! Maureen is THE most amazing bosslady in blogland - I can tell you. She's so laid back she's almost horizontal (just as well with an addled old trout like me on the team! LOL!) yet she manages to pair this with an almost supernatural 'fit everything in and a bit besides' ability! All with immense good humour and love. Thank you Mo for being Superbosslady and thank you teamies for yet another fabulous array of super, inspiring projects. Will be popping over to your own personal blogs to leave some love as time allows.